Receiving your shipment a day or two after it was scheduled to arrive can be frustrating, but most of the time it is an issue that can be dealt with. This is not the case when it comes to shipments for trade shows. Trade shows, expos, and other special events have very strict schedules and deadlines, and your company only has one chance to ensure that your plans go off without a hitch. So what can you do to secure your trade show success? Read on to find out! If there is one thing that needs to be prioritized when it comes to trade show logistics, it is timing. Deliveries of your items need to be on time, set-ups need to be carried out on time, everything, in short, needs to be on time not only for the sake of an individual trade show experience, but also for the good reputation for your company. Failing to meet the basic guidelines set by a trade show’s officials could jeopardize business relationships and potential customer connections. With help from the pros at AFP Expo your trade show experience and company’s good name will never be in doubt. AFP Expo works with clients to establish a timeline and a list of services that must be carried out in time for the start of a trade show. Everything from warehousing and storage to expedited air freight shipping to end-of-show transport can be handled by the expert AFP Expo team so that your team can focus on the marketing and networking opportunities afforded by a trade show. 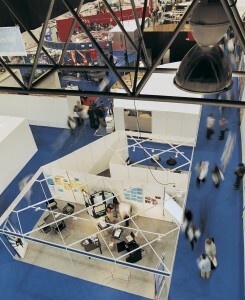 Planning your company’s next trade show? Plan it with AFP Expo! This entry was posted on Thursday, January 22nd, 2015	at 1:29 pm	and is filed under News, Trade Shows	. You can follow any responses to this entry through the RSS 2.0	feed. You can skip to the end and leave a response. Pinging is currently not allowed.